The League of Women Voters of the Akron Area Education Fund, or Ed Fund as it is commonly known, is a non-profit public foundation that raises tax deductible funds to help carry out the mission of the League of Women Voters of the Akron Area. In addition to financing allowable projects and activities of LWVAA, the Ed Fund provides resources to develop and print Voters Guides which are widely distributed throughout the community and available online. It supports candidates’ nights and community forums on public policy issues. The League of Women Voters has a long tradition of encouraging informed and active participation in government. The League accomplishes a great deal with a hard working, dedicated volunteer force of interested community members. But hard work is not enough. It takes financial resources to keep up the good work. Over 20 years ago a group of visionary League members had the foresight to establish a non-profit foundation to allow League members and other interested citizens to make tax deductible contributions in support of the work of the Akron League. Your contribution to the Ed Fund will help to assure reasoned, nonpartisan information about candidates and critical public policy issues is available to our community. 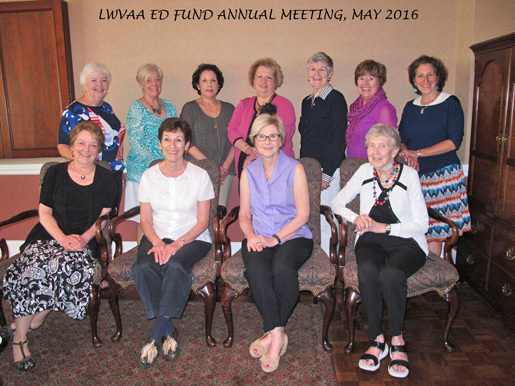 The LWVAA Education Fund is a non-profit 501(c)(3) organization and all contributions are tax deductible.